The bedroom is your private sanctuary, your personal retreat from the outside world. This is the one place that allows you to let your hair down, both literally and figuratively. This is why it can be challenging to choose the right theme for your bedroom. If you would love to have a bedroom that reflects who you are, consider these beautiful and elegant bedroom ideas. Piles of pillows and restful, calm colors create a peaceful atmosphere in the bedroom. Various shades of green give the room that fresh appearance. They also enhance the crisp and clean white sheets and accessories. Feel like you are on holiday every night in a bedroom that is fashioned after a chic hotel room. 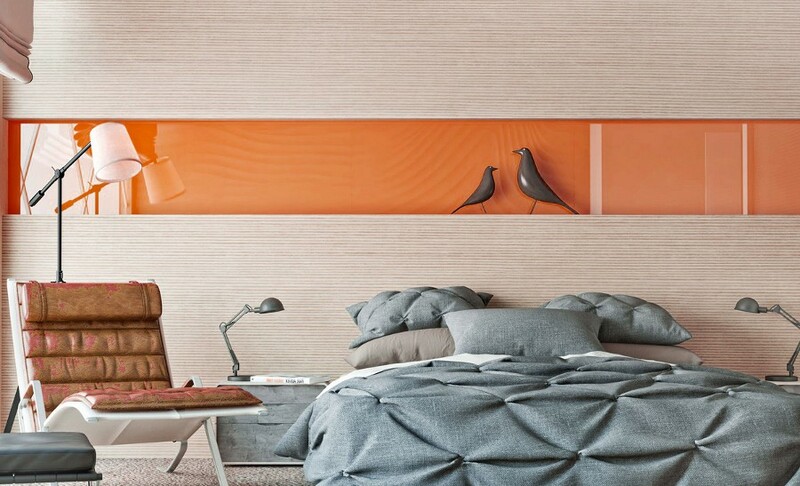 Use bedding that has clean lines and neutral colors to achieve this effect. Every girl wants a pretty floral bedroom and if you didn’t get yours as a child, there’s nothing stopping you from having one now! Use pretty floral wall paper to start of the decorating. Then choose a rug that compliments the wall paper. From here you can choose bright colors for your bedding and accessories. Some people find that colors relax them and if you are one of those people invest in creating a cozy and colorful bedroom. Use bright colors that compliment each other. Some people see a clean white bedroom as priceless. Your entire bedroom doesn’t have to be white, but make sure that your bedding’s and majority of your accessories are crisp, clean and white.